Today, 7th July, is Ringo Starr's 75th birthday. He invites you to celebrate with him by wishing for peace and love, or posting on social media with the hashtag #peaceandlove, at 12 noon your local time. 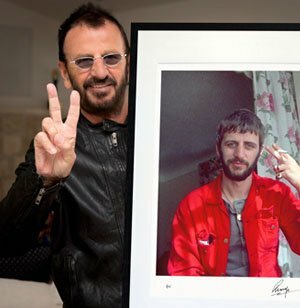 Since making his birthday wish ten years ago, Ringo has spread peaceful thoughts across the world, from New Zealand to Hawaii and everywhere in between. Ringo and Barbara Starkey, and friends including Joe Walsh, will be performing their salute in front of the Capitol Records Tower in Hollywood. We hope you can join them, wherever you are.